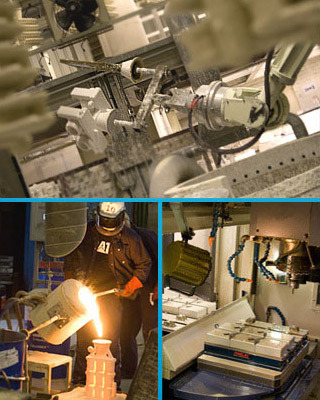 Yeovil Precision has been manufacturing castings for over 50 years for a wide variety of applications, including aerospace, land based power generation, small arms, medical instruments, valves, pumps, automotive, and harnessing equipment. The customer base includes many blue chip organisations. Manufacture begins with the tooling, which will be produced to accommodate as many slides and inserts as necessary; Yeovil Precision can also offer soluble and/or ceramic cores, incorporated to the manufacture of your most intricate design requirements. The Lost Wax Investment Casting process has its origins in ancient civilisations, where it was used in jewellery-making and sculpture to produce parts from beeswax patterns prepared by hand. In present day engineering applications, however, precision made tooling is used to produce highly accurate wax patterns of the component to be cast. The tooling is mounted and clamped as required on a wax injection press. The molten wax is injected into the pattern cavity and cools for a set amount of time. The tooling is then separated and the pattern is extracted. 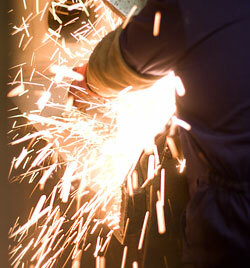 Tooling has a very long life, as there is little or no wear during the production process. Our skilled fabrication and sealing section complete any additional operations necessary before assembling the mould on an individually designed feed and runner system. A ceramic shell is built on the wax mould in layers by dipping in a liquid slurry and then coating with a solid ceramic in a fluidised bed or rain cabinet. The first coating is of a very fine texture to give the casting its excellent finish and reproduction of detail. Subsequent coats are in coarser material, repeated according to the strength of shell required to contain the cast weight of the mould. The wax is removed in an Autoclave and the shell is fired at high temperature. This gives it its strength and also removes the last traces of wax from the mould. The mould is now ready to receive the molten metal. The pouring operation is completed in either air or vacuum under strictly controlled conditions using metal prepared on one of our many induction melting units. Once the mould has cooled sufficiently, the ceramic shell is removed mechanically and the feeding system is cut off. 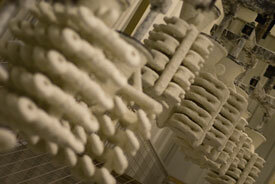 The casting is now ready for final processing and inspection prior to despatch. 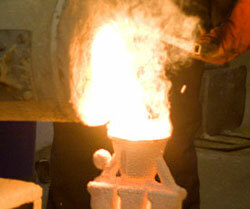 YPC can supply castings heat treated to any specification. We can also provide passivation, electropolishing and other surface treatments as required. YPC also offers additional in-house operations including CNC machining and Nadcap-approved non-destructive testing by Fluorescent Penetrant and X-Ray. Other Non-Destructive Tests, e.g. Magnetic Particle and Gamma Radiography, can be performed by our Nadcap approved partner.